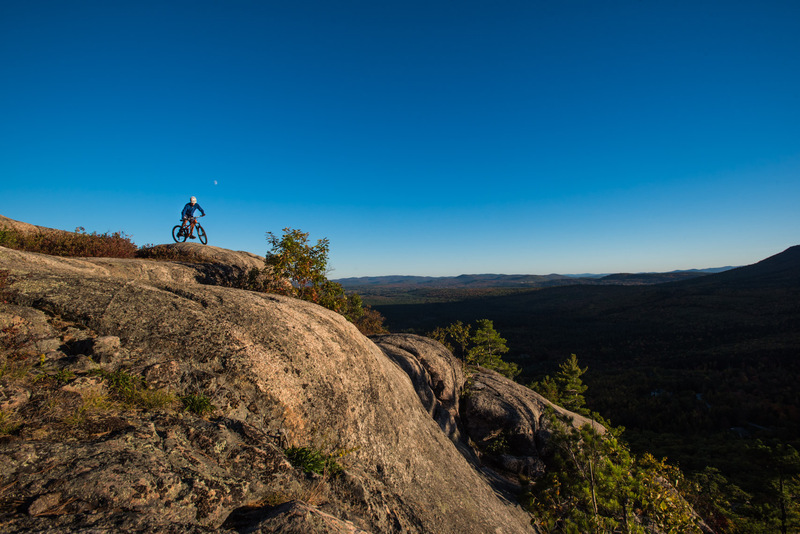 Mountain biking on Whitehorse Ledge, New Hampshire. Alex Leich on the bare granite slabs of Whitehorse Ledge in North Conway, New Hampshire. Whitehorse ledge can be climbed from the front or ridden up from the backside, either way it's perfect for Autumn days in New England.